A few ground-based stations have provided time series of HCHO columns until now, which was not optimal for providing good diagnostics for satellite or model validation. 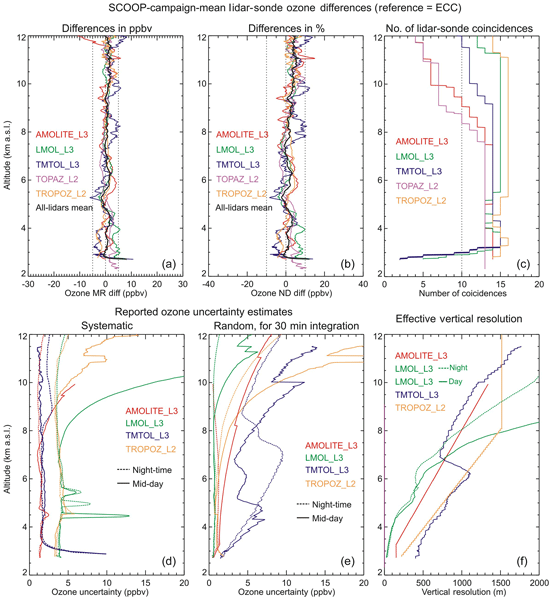 In this work, HCHO time series have been determined in a harmonized way at 21 stations ensuring, in addition to a better spatial and level of abundances coverage, that internal biases within the network have been minimized. This data set shows consistent good agreement with model data and is ready for future satellite validation. The Microwave Limb Sounder (MLS) is a satellite instrument that has been measuring the amount of various gases in the atmosphere since 2004. In late 2015 and 2016 it observed unusual amounts of hydrogen cyanide (HCN), a gas produced when vegetation is burned. We compare the MLS observations to similar observations from other instruments. The excess HCN is shown to come from fires in Indonesia. There are more fires than usual in 2015–16 due to a drought caused by an El Niño event. Slant column densities of nitrous acid (HONO) derived from different MAX-DOAS instruments and retrieval software are systematically compared for the first time during the Multi Axis DOAS – Comparison campaign for Aerosols and Trace gases (MAD-CAT) campaign held at MPIC in Mainz, Germany, from June to October 2013. Through the inter-comparisons and sensitivity studies we quantified the uncertainties in the DOAS fits of HONO from different sources and concluded a recommended setting. Presented here is the validation of the CrIS fast physical retrieval (CFPR) NH3 column and profile measurements using ground-based Fourier transform infrared (FTIR) observations. 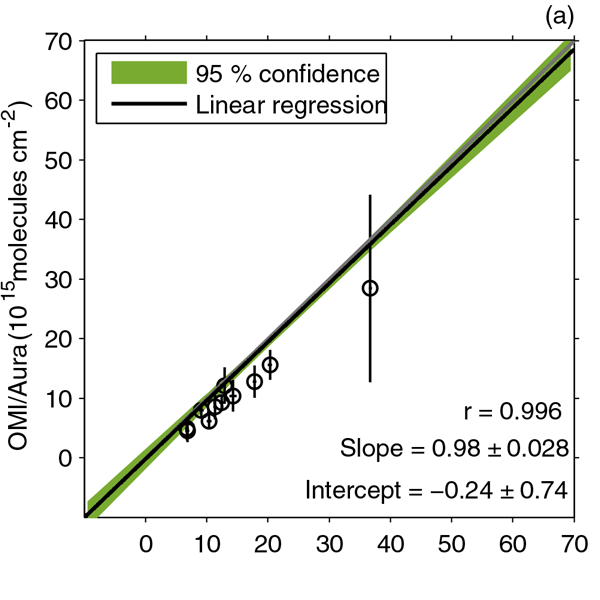 The overall FTIR and CrIS total columns have a positive correlation of r = 0.77 (N = 218) with very little bias (a slope of 1.02). Furthermore, we find that CrIS and FTIR profile comparison differences are mostly within the range of the estimated retrieval uncertainties, with differences in the range of ~ 20 to 40 %. This work is about harmonization of differential optical absorption spectroscopy retrieval codes, which is a remote sensing technique widely used to derive atmospheric trace gas amounts. The study is based on ground-based measurements performed during the Multi-Axis DOAS Comparison campaign for Aerosols and Trace gases (MAD-CAT) in Mainz, Germany, in summer 2013. In total, 17 international groups working in the field of the DOAS technique participated in this study. We present a simulation of tropospheric Cl, Br, I chemistry within the GEOS-Chem CTM. We find a decrease in tropospheric ozone burden of 18.6 % and a 8.2 % decrease in global mean OH concentrations. Cl oxidation of some VOCs range from 15 to 27 % of the total loss. Bromine plays a small role in oxidising oVOCs. Surface ozone, ozone sondes, and methane lifetime are in general improved by the inclusion of halogens. We argue that simulated bromine and chlorine represent a lower limit. We present an inherently calibrated retrieval to measure aerosol optical depth (AOD) and the aerosol phase function parameter, g, based on measurements of azimuth distributions of the Raman scattering probability (RSP), the near-absolute rotational Raman scattering (RRS) intensity by the University of Colorado two-dimensional (2-D) MAX-DOAS. The retrievals are maximally sensitive at low AOD and do not require absolute radiance calibration. We compare results with data from independent sensors. We describe the University of Colorado 2-D-MAX-DOAS instrument and a retrieval to measure 3-D distributions of NO2. The spatial scale over which NO2 is probed is systematically varied by measuring NO2 at three different wavelengths. This has a significant effect on the comparison with the NO2 VCD as measured by OMI. The challenges and opportunities to validate satellites under inhomogeneous conditions as well as to pinpoint hydrocarbon chemistry around the measurement site are discussed. Tropospheric halogens and small oxygenated VOC (OVOC) modify tropospheric HOx and NOx, O3 and aerosols. 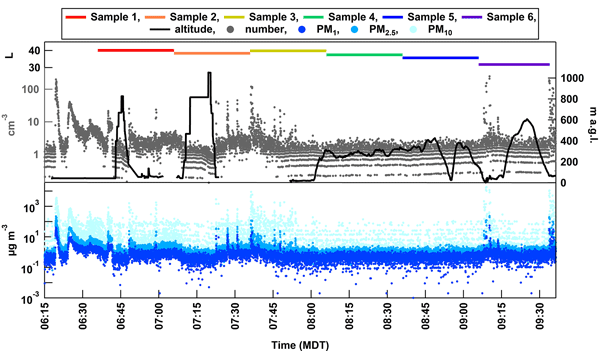 We have measured bromine monoxide (BrO), iodine monoxide (IO), glyoxal (CHOCHO) profiles from research aircraft in the tropical troposphere and compare with ship- and aircraft-based in situ sensors. Our measurements point to the need to improve the representation of halogens and organic carbon sources in atmospheric models. This paper presents ground-based direct-sun and airborne multi-axis DOAS measurements of O2O2 absorption optical depths under atmospheric conditions in two wavelength regions (335-–390nm and 435--490nm). Our results show that laboratory-measured σ(O2O2) is applicable for observations over a wide range of atmospheric conditions. Temperature dependence of σ(O2O2) is about 9±2.5% from 231K to 275K. A new balloon-borne system has been developed to measure the properties of aerosol particles that form cloud ice in the lower troposphere, called HOVERCAT (Honing On VERtical Cloud and Aerosol properTies). Test flights in Colorado demonstrated the utility of HOVERCAT for profiling these ice nucleating particles (INPs), where we found higher numbers of INPs from agricultural sources. Measurements by HOVERCAT can help improve understanding of how aerosols impact clouds in the atmosphere. The primary instrument on the Greenhouse gases Observing SATellite (GOSAT) is the Thermal And Near infrared Sensor for carbon Observations (TANSO) Fourier transform spectrometer (FTS). TANSO-FTS has a thermal infrared channel to retrieve vertical profiles of CO2 and CH4 volume mixing ratios in the troposphere. We compare the retrieved vertical profiles of CH4 from TANSO-FTS with those from two other spaceborne FTSs and with ground-based FTS observatories to assess their quality. The MUMBA campaign provides a detailed snapshot of the atmospheric composition in an urban coastal environment with strong biogenic sources nearby. This campaign involved collaboration between several institutes and was undertaken to provide a case study for atmospheric models in a poorly sampled region of the globe. 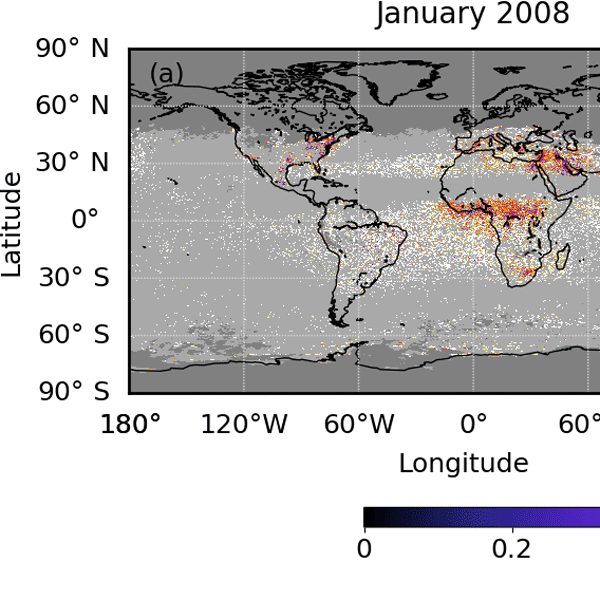 The study presents the first systematic use of ground-based remote-sensing data from the Network for the Detection of Atmospheric Composition Change (NDACC) to validate satellite-based Measurements of Pollution in the Troposphere (MOPITT) total column carbon monoxide (CO). MOPITT generally shows low bias with respect to the ground-based instruments. The geographic and temporal dependence of validation results are determined. Our findings inform some recommendations for using MOPITT measurements. This study compares stratospheric water vapor measurements by the Aura Microwave Limb Sounder (MLS) and balloon-borne frost point hygrometers (FPs) at five sites that launch two different types of FPs. The results demonstrate that FP and MLS measurements have been diverging at statistically significant rates of 0.6 to 1.5 % per year since approximately 2010. Similarities in the divergences at different sites suggest a positive drift in MLS retrievals since approximately 2010. This work focuses on the balloon borne NOAA frost point hygrometer (FPH) instrument flown at three locations around the world: Boulder, Colorado, Lauder, New Zealand, and Hilo, Hawaii. The ongoing 36-year record is the longest continuous water vapor record with profiles reaching 28 km. Significant instrument updates in 2008 decreased the weight, cost, power consumption, and manufacturing time offering greater precision and ease of use. In situ upper-air measurements are often made with instruments attached to weather balloons launched at the surface and lifted into the stratosphere. It has been demonstrated that ascending weather balloons can perturb the air measured by very sensitive humidity and temperature sensors trailing behind them. The use of controlled balloon descent for such measurements has therefore been investigated and is described here. We present two different methods and show advantages and disadvantages. We compared v3.0B of the BEHR satellite NO2 product against independent measurements to verify its accuracy. We found that the BEHR product generally performs better than standard NO2 products and the previous version of BEHR. 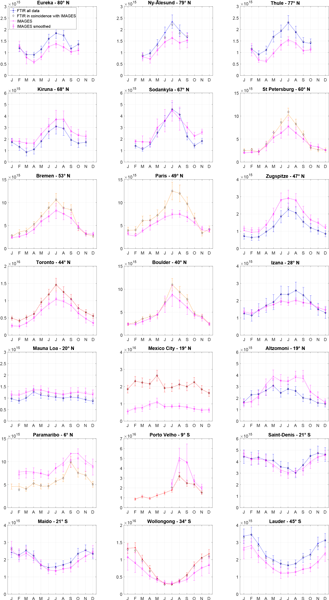 Outside of the SE US, using daily NO2 profiles results in similar or better agreement with independent measurements than using monthly profiles, and direct evaluation of those profiles shows they better describe NO2 distribution in urban areas than monthly profiles. This article reviews the capability of five ozone lidars from the North American TOLNet lidar network. These ground-based laser remote-sensing instruments typically measure ozone in the troposphere with a precision of 5 % and vertical and time resolutions of 100 m and 10 min, respectively. 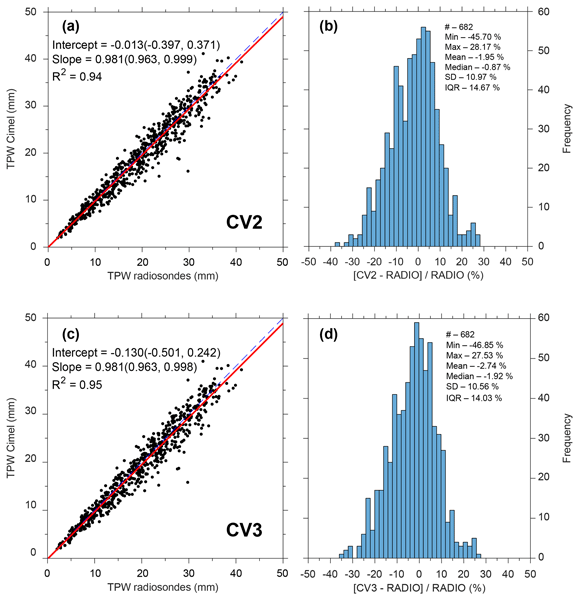 Understanding ozone variability at high spatiotemporal scales is essential for monitoring air quality, human health, and climate. The article shows that the TOLNet lidars are very well suited for this purpose. 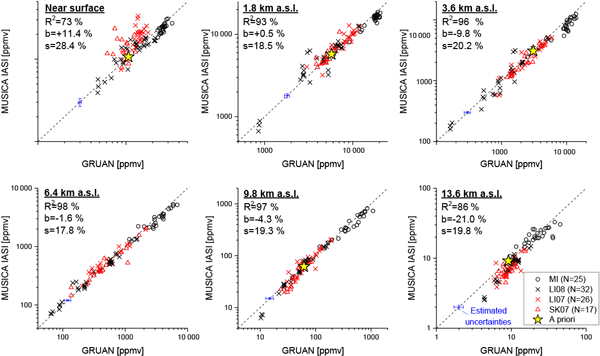 In this paper MUSICA IASI tropospheric water vapour profile retrievals are evaluated by performing theoretical error assessments and comparisons to GRUAN radiosonde measurements. 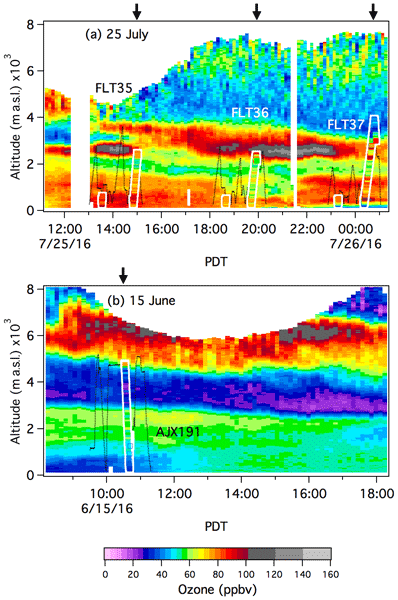 We show that the vertical water vapour distribution is well captured from 1 km above the ground up to the tropopause. Largest error sources are unrecognized clouds and uncertainties in atmospheric temperature, which can reach about 25 %. Formaldehyde is toxic to humans and is formed in the atmosphere in the presence of air pollution, but the measurements are sparse. Pandonia Global Network instruments measure total formaldehyde column from the surface to the top of troposphere and will be widely available. This study compared formaldehyde Pandora columns with the surface and aircraft-integrated columns near Seoul, South Korea. Relatively good agreement was observed between the three datasets with some overestimation by Pandora. 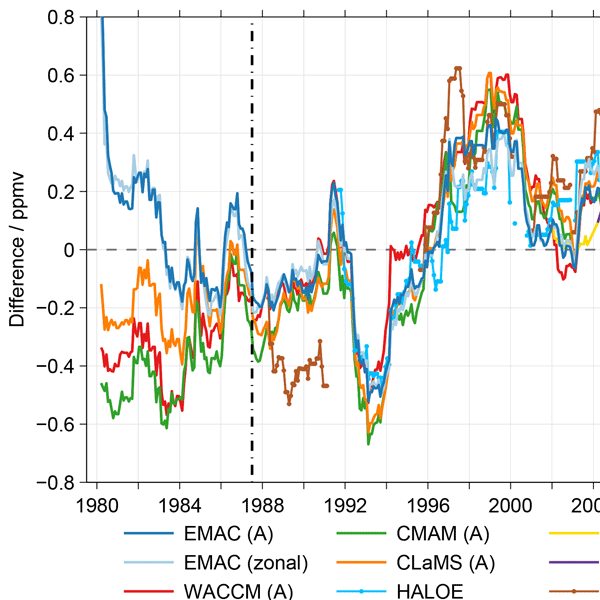 Time series of stratospheric and lower mesospheric water vapour using 33 data sets from 15 satellite instruments were compared in the framework of the second SPARC water vapour assessment. We find that most data sets can be considered in observational and modelling studies addressing, e.g. 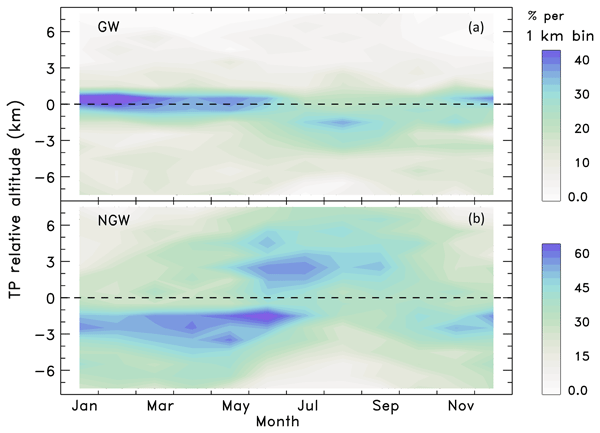 stratospheric and lower mesospheric water vapour variability and trends if data-set-specific characteristics (e.g. a drift) and restrictions (e.g. temporal and spatial coverage) are taken into account. This study focuses on how to improve OMI NO2 retrievals for trend analysis. 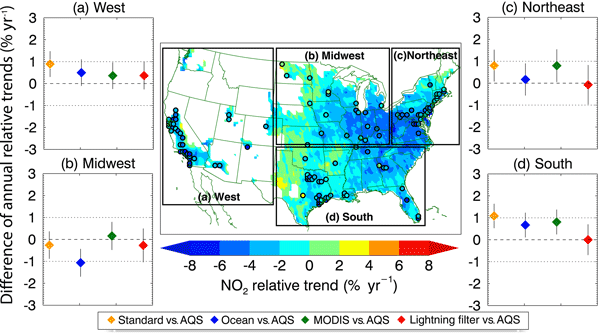 We retrieve OMI tropospheric NO2 vertical column densities (VCDs) and obtain the NO2 seasonal trends over the United States, which are compared with coincident in situ surface NO2 measurements from the Air Quality System network. We find that three procedures are essential in comparing both datasets, including the ocean trend removal, the albedo update, and the lightning filter. Atmospheric methane abundances as function of altitude derived from the thermal infrared band of the Japanese GOSAT satellite show a systematic bias. It has been shown that simple correction schemes can lead to undesired consequences. This paper discusses a more elaborate approach, resulting in methane profiles that fall within 2 % of independent reference measurements and models. This is true for different scenes around the globe and over the full altitude range. Version 6 of the Nimbus 7 LIMS stratospheric data set contains improved profiles of NO2. 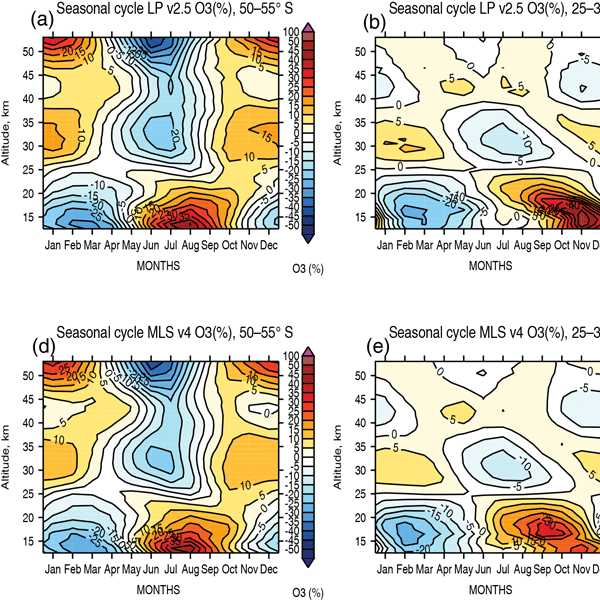 The variations of V6 HNO3 and NO2 at 31.6 hPa are reassessed for their consistency in the region of the Aleutian High (AH) from 14 to 28 January 1979. Photochemical model calculations initialized with the V6 data and including effects of heterogeneous reactions mimic the observed decreases of NO2 and increases in HNO3 over a period of 10 days along trajectories terminating in the AH region on 28 January. The Ozone Mapping and Profiler Suite (OMPS) Limb Profiler (LP) is a newly designed research sensor aiming to continue high vertical resolution ozone records from space-borne sensors. In summer 2017 all LP measurements were processed with the new version 2.5 algorithm. In this paper we provide a description of the key changes implemented in the new algorithm and evaluate the quality of ozone retrievals by comparing with independent satellite profile measurements (MLS, ACE-FTS and OSIRIS). Measurements of nitrogen dioxide, known to originate from industrial and automotive combustion sources, have been made from space for two decades. Successive generations of instrument bring improvements in ground-pixel resolution; however features in the atmosphere are known to be smaller than what the satellites can resolve. Measurements of urban and industrial areas using a high-resolution airborne instrument allow the impact of the satellite's relatively low resolution to be evaluated. We developed a novel NO2 DOAS retrieval for the GOME-2A instrument in the UV spectral range, which is compared with a NO2 retrieval in the visible and model values. Regions representative for both anthropogenic and biomass burning NO2 pollution are investigated. Anthropogenic air pollution is mostly located in the boundary layer close to the surface. In contrast, biomass burning NO2 is often uplifted into elevated layers. A diurnal pattern of tropospheric NO2 with two maxima around late morning and late afternoon is revealed, reflecting high anthropogenic emissions, and a minimum at noon, due to photochemical destruction of tropospheric NO2. GOME-2B shows the smallest underestimation despite its large pixel size. The distance between the measurement location and the satellite pixel center affects mostly GOME-2B data selection. The effect of clouds is more profound on the selection of OMI overpass data. 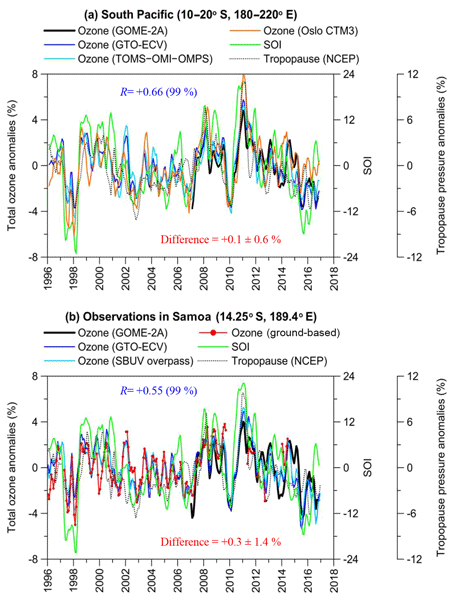 The results imply that XCO2 from satellite observations could be reliably applied in the assessment of atmospheric CO2 enhancements induced by anthropogenic CO2 emissions. 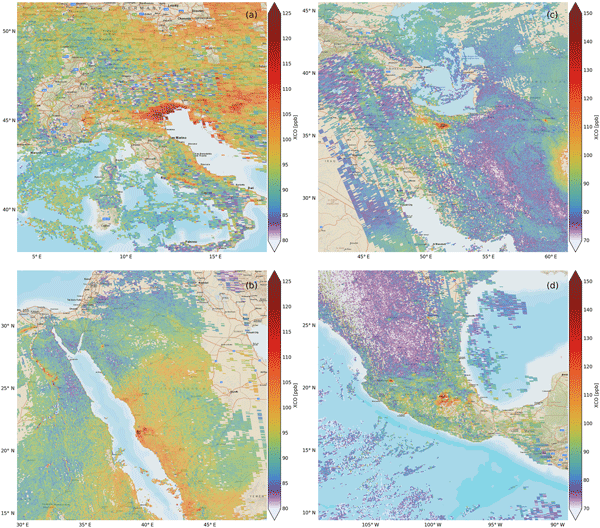 The large inconsistency among different algorithms presented in western deserts with a high albedo and dust aerosols demonstrates that further improvement is still necessary in such regions, even though many algorithms have endeavored to minimize the effects of aerosols and albedo. In July 2016, a new ground-based 22 GHz spectrometer for measuring lower and middle atmospheric water vapor was installed at the Thule High Arctic Atmospheric Observatory located at Thule Air Base (76.5° N, 68.8° W), Greenland. The spectrometer, VESPA-22, is designed to operate automatically with little maintenance. The intercomparison between VESPA-22 dataset and the satellite-based Microwave Limb Sounder dataset shows an average difference within 1.4 % up to 60 km altitude. We launched the DSCOVR spacecraft to an orbit located near the earth–sun gravitational plus centrifugal force balance point known as Lagrange 1. One of the earth-viewing instruments, EPIC, measures earth-reflected radiances in 10 wavelength channels ranging from 317.5 nm to 779.5 nm. We use the UV channels to retrieve O3 and scene reflectivity, and to derive the first measurement of erythemal flux (sunburn) from sunrise to sunset at the earth's surface. Water vapour is one of the most important gases in the Earth’s atmosphere and plays a unique role in climate and weather forming. 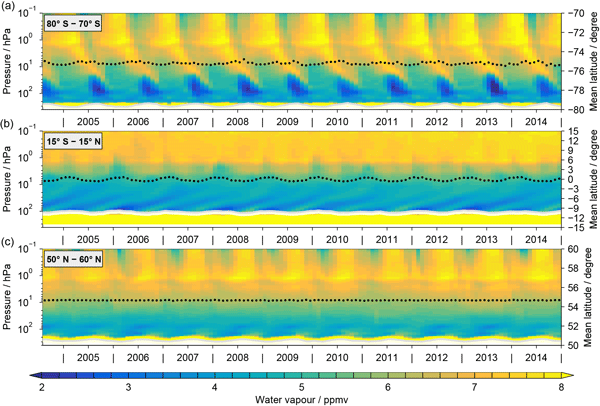 Cross-comparison of different systems for monitoring the atmospheric integrated water vapour (IWV) measurements is an essential part of their testing and validation protocol. 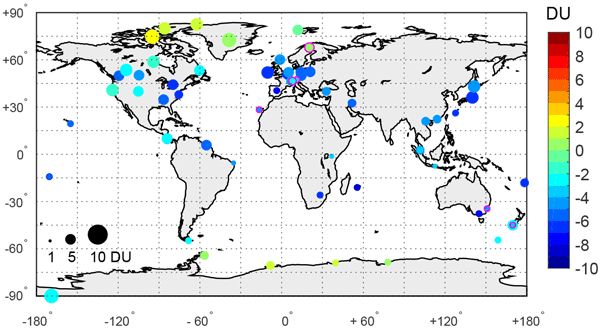 We compare coincident measurements of IWV by different techniques over Saint Petersburg (Russia), assess their quality in various atmospheric conditions, and give recommendation for data users. Long-term measurement series are the pillars of all climate change analysis. The Arosa total ozone series is the world's longest record, starting in 1926. To secure the future of these measurements, it is foreseen to move the instruments in Davos. To ascertain that the series will not be affected by this change, a multiyear campaign of parallel measurements on both sites has been done. The analysis of these data is presented and it is concluded that no discernible difference can be identified. The SAGE-III instrument was launched in February 2017. As with any new instrument, a significant post-launch activity is planned to validate the data products. Validation of trace gases with short photolytic lifetimes is challenging, though careful use of Pandora-type instruments may prove beneficial. A careful intercomparison of Pandora and NIWA's M07 instrument was carried out. Results show Pandora to be well correlated with M07, showing its viability as a validation tool for SAGE science. One of the gases polluting the air that we measure in the Dutch National Air Quality Monitoring Network is ammonia. We replaced the ageing instruments that we used for the past 20 years by the miniDOAS, an instrument that uses ultraviolet light to measure ammonia. We operated the old and new instruments side by side for more than a year and found them to agree well. The miniDOAS measures faster than the old instrument; this will give us more insight in how ammonia behaves in the atmosphere. This study evaluated biases in GOSAT/TANSO-FTS thermal infrared (TIR) V1 CO2 product on 736–287 hPa on the basis of comparisons with CONTRAIL CME CO2 data over airports. TIR V1 CO2 data had consistent negative biases of 1–1.5 %, with the largest negative biases at 541–398 hPa. 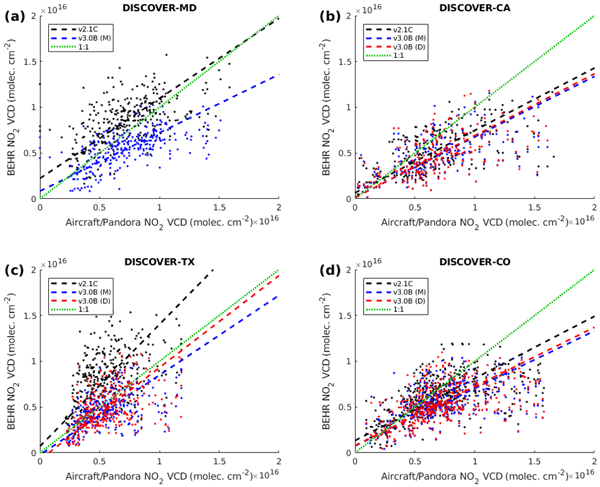 Global comparisons between TIR CO2 data to which the bias-correction values were applied and CO2 data simulated by NICAM-TM confirmed the validity of the bias-correction values evaluated over airports in limited areas. Intercomparisons have been made between three TOLNet ozone lidars and between the lidars and other ozone instruments during the 2014 DISCOVER-AQ and FRAPPÉ campaigns in Colorado. Overall, the TOLNet lidars are capable of measuring 5 min tropospheric ozone variations with accuracy better than ±15 % in terms of their vertical resolving capability and better than ±5 % in terms of their column average measurement. These results indicate very good measurement accuracy for the three TOLNet lidars. 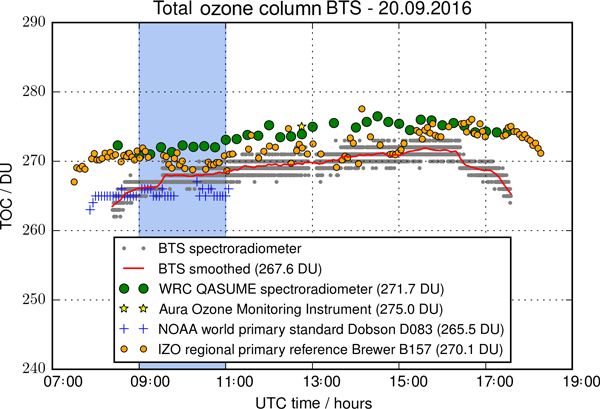 Total column ozone (TCO) has been obtained by various ground-based and spaceborne instruments (OMI) with high accuracy. Here, daily TCO measured by a Pandora spectrophotometer (no. 19) installed since the (DRAGON)-NE Asia campaign (2012) was intercompared using Dobson (no. 124), Brewer (no. 148), and OMI measurements from March 2012 to March 2014 at Yonsei University, Seoul, Korea. The results showed that Pandora TCO is in very good agreement with other measurements. In this paper, we compare greenhouse gas measurements from two novel open-path instruments to determine how similarly they measure the same gas concentration. We do this over an outdoor path, so the two instruments measured the same outdoor air. We found that the two instruments agree extremely well, so in the future if the instruments were at two different locations we could reliably compare their measurements to determine differences between the two places. 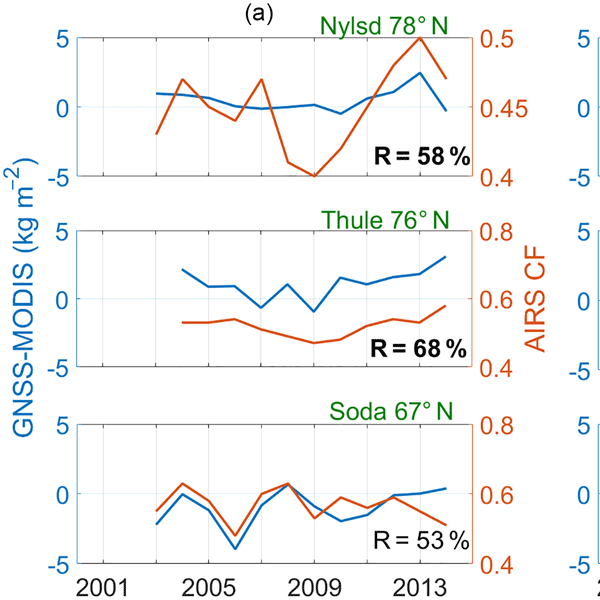 Measurements in the high Arctic from two ground-based and one space-borne infrared Fourier transform spectrometer agree well over an 8-year time period (2006–2013). These comparisons show no notable degradation, indicating the consistency of these data sets and suggesting that the space-borne measurements have been stable. Increasing ozone, as well as increases of some other atmospheric gases, has been found over this same time period.